JULY/AUGUST 2007 -- The 2007 regular session of the General Assembly is now history, but there will have to be a special session to approve the state budget for the next two years. Little was accomplished this year despite the large majority by one party in both the House and Senate. None of the bills to help the dairy farmers reached the floor for debate. All of the bills concerned with both current appropriations and bonding were consolidated into the budget bill which is still being negotiated and will be taken up at the special session. Most likely the special session will wait until a budget that both parties and the Governor can agree to is ready. Then the special session will meet for one day and quickly pass the budget bill. Our one big success this year was to get authorization for lump sum bonding for the Department of Agriculture’s farmland preservation program. Until now, each time the Department of Agriculture wanted to preserve a farm by purchasing the development rights, they first had to reach an agreement on price with the farm owner, then go before the State Bond Commission to request the funds. This was similar to a person signing an agreement to buy a house and then going to the bank to see whether or not they could get a mortgage. Several times a farm was lost to development after the farmer had made an agreement with the State because the Department of Agriculture could not get their request for funds on the Bond Commission’s agenda. Public Act 07-162 the Department of Agriculture may request and the State Bond Commission may authorize the sale of bonds for farmland preservation in advance so the funds will be available to purchase the development rights as soon as the State makes an agreement with the farm owner. This is similar to a person getting pre-approved for a mortgage by the bank before they make an offer to buy a house. While this act does not authorize the sale of any new bonds, it is a very significant step forward because it allows the Department of agriculture to know they have the money available when they make an offer to purchase the development rights to a farm. Another section of Public Act 07-162 creates a twelve-member Farmland Preservation Advisory Board to advise and assist the Department of Agriculture in preserving farmland purchasing the development rights. The advisory board will make recommendations on identifying prime farmland which should be preserved, methods for increased participation by towns and farmers, methods to streamline the process of purchasing the development rights and outreach programs to attract more quality applications from farmers to sell their development rights to the State. Some people think the Farmland Preservation Advisory Board is a good idea to help the Department of Agriculture while others are concerned that it could make the entire program more political. Increased participation by the towns could be good or bad, depending on whether the town favors farmland preservation or would rather see commercial and industrial development that would increase the town’s tax base. Until now the Department of Agriculture has given more weight to parcels that are adjacent to other preserved land in an effort to create large blocks of farm, forest and open space land where there will not be residential neighbors nearby who would be offended by the normal sounds and smells of farming. The advisory board may continue with this plan, or they may bow to local pressure and recommend against enlarging a block of land that is not in harmony with the local plan of development. In the end, whether the advisory board is a good idea or not will depend more on the attitudes and opinions of the board members than the letter of the law. The advisory board will consist of five farmers and one representative each from the UConn Cooperative Extension Service, the Connecticut Agricultural Experiment Station, the Connecticut Conference of Municipalities, the Connecticut Farm Bureau, an organization whose mission includes farmland preservation, an organization whose mission includes food security and a financial landing organization whose clients include farm owners and operators. 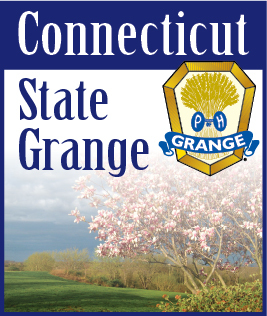 While the Grange is not specifically included in the list of board members, the Connecticut State Grange and many Subordinate and Pomona Granges are members of the Working Lands Alliance. The Working Lands Alliance is now working with the Governor’s office and the legislators who will appoint the members of the advisory board to select individuals who will be considered for the appointments. The Working Lands Alliance feels confident a member of its Leadership Committee will be chosen for the position to be filled by a representative from an organization whose mission includes farmland preservation.